John is an experienced Fortune 100 and start-up executive with an extensive background in e-commerce, merchandising, supply chain and logistics. Over 25 years experience working for the following companies: UPS, Pepsi, Nabisco (Mondelez), Kozmo, Metro International, Partsearch Technologies (Best Buy Company), Partsimple.com, and Fab.com. Currently COO responsible for the strategic and tactical execution of all operations at Tommy John Wear. Business advisor for several VC firms and start-ups. I believe imbibing the vision and culture across the Company plays a strategic role in shaping its future. As EVP and acting COO of Fab.com from 2012 – 2014 was responsible for the strategic development of a world class service operation and daily management of the following areas…Supply Chain, E-Commerce Fulfillment, Call Center Operations, Engineering, Analytics, Inventory Control, Retail Store Operations, Pop-up shops, Real Estate, IT Infrastructure, Security, Transportation, Warehouse Operations, Labor, Quality Assurance, Manufacturing and Network Planning. 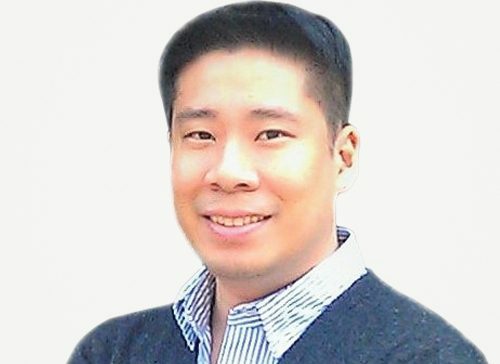 COO & Co-Founder of PartSimple that provides consumers and businesses access to over 2.5 million replacement part SKU’s for hundreds of brands in the consumer electronics, computer, appliance and wireless categories. The Company was successfully sold in 2012. SVP General Manager – Partsearch Technologies from 2003 – 2010, where he was a Creative leader in development of an out of the box thinking workforce for an old and rigid retail business. Developed the Supply Chain and Merchandising Strategies for Partsearch from nothing to a industry changing business platform. Developed strategic e-commerce merchandising and sales strategy development. Responsible for global sourcing and procurement of all products. Prior to these he was VP Logistics & Operations for Metro International, S.A., Kozmo, Mondelēz International (NABISCO). I was extremely satisfied with the Financial Survey Platform built for us. Throughout the project they advised us on the technology that would fulfill our needs. It was a pleasure to work with them and highly recommend them! I am pleased to state each of our projects was delivered on time and budget. The team was quick to understand our business model and needs to build a scalable platform. We were amazed by how seamless it was to have our IT transitioned to Aretove. We met a few times and they handled the rest professionally.